Since Euclidean Space has no preferred origin or direction we need to add a coordinate system before we can assign numerical values to points and object in the space. The x and y coordinates representing the point can then be read off the grid. An orthogonal coordinate system does have useful properties and, as we shall see, thats what we usually use. Sometimes there are advantages in using a non-linear coordinate system, such as circular coordinates, we discuss these here. We can add a third dimension to our grid (to give x,y and z coordinates). The change to three dimensions gives us a new type of decision to make. It turns out that in three dimensions a coordinate system can be either 'left' or 'right' handed. However we rotate a left hand coordinate coordinate system we cant make it into a right hand coordinate system and visa-versa. One is the reflection of the other. Any right hand coordinate system can be converted to any other right hand coordinate system by rotating it. Any left hand coordinate system can be converted to any other left hand coordinate system by rotating it. A right hand coordinate system cannot be converted to a left hand coordinate system by rotating it. Flipping positive Z from toward to away. So flipping any two axis will retain the same handedness. So how do we decide where to put the 'grid'? Often when we are working at a reasonable small scale so we can orient relative to the surface of the earth, 'up' being the direction of gravity field, we can also use the magnetic field 'north' to give another axis. On a larger scale, there are various 'geospacial' coordinate systems as discussed on this page. Each point in the world can be specified by 3 floating point numbers (float or double), the X, Y and Z coordinates of that point. These 3 numbers together(x,y,z) are known as a vector, and can specify any point in 3D space. 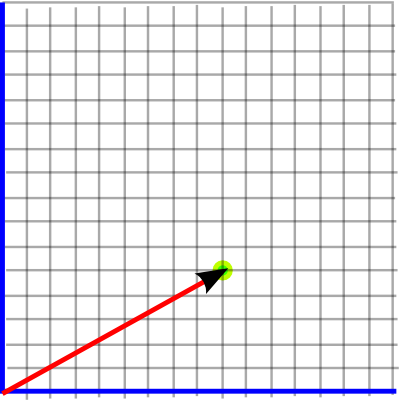 If the value of y is increased the point moves up, if it is decreased the point moves down. 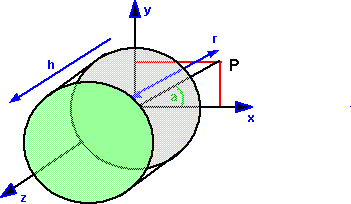 If the value of x is increased the point moves right, if it is decreased the point moves left. 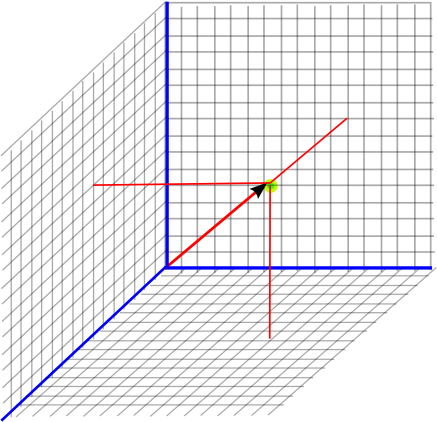 If the value of z is increased the point moves toward the viewer, if it is decreased the point moves away. 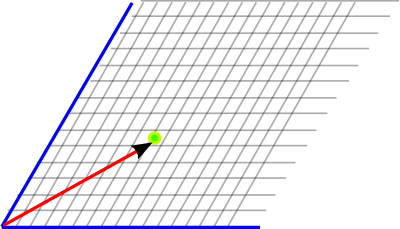 A vector can also represent a relative movement in 3D, so for instance if you start with the absolute position (0,2,-3) and add the vector (-1,4,6) we get the position (-1,6,3) . Similarly we can subtract vectors. There are 2 types of vector multiplication (dot and vector product) more details when we cover normals and matrix topics). 3D vectors are supported by the java.vecmath package which is distributed with java3D although it is a separate package. This supports a range of 2D, 3D and 4D points and vectors. These have to be defined relative to some coordinate system. Coordinates relative to a node. node.getLocalToVworld() - the composite of all the transforms from the root to this node. relative to the view platform. Although the physical world we inhabit appears to have 3 dimensions of space and one of time, physics often postulates a world with a higher number of dimensions. However, even if we are are modeling the three dimensional physical world, it is often useful to embed it in a higher dimensional just to make our calculations easier. Examples of this are rotations, which are non-linear and difficult to manipulate when working in 3D physical space, we can work with rotations much easier if we embed them in a higher number of dimensions in such a way as the operations we want to do become linear. Examples of this are representing rotations by 3×3 matrices (9 dimensions) or quaternions (4 dimensions). Latitude - an angle which is +90 degrees at the north pole, 0 degrees at the equator and -90 degrees at the south pole. Longitude - an angle about the line between the north and south poles, with 0 degrees at the Greenwich meridian. 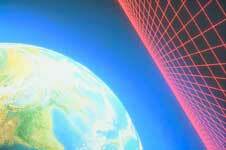 However, since the earth is not a perfect sphere there is a need for more complex systems. These pages explain this further.